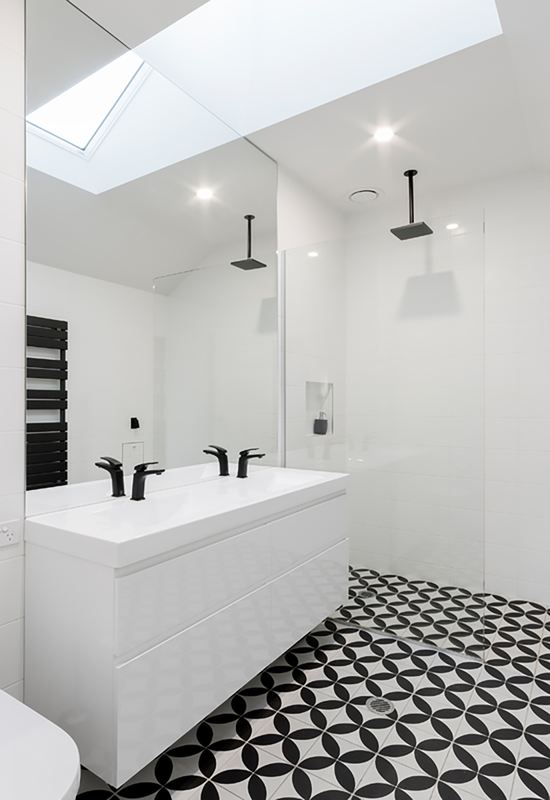 The project was a complex balance of heritage and tree conservation to provide a contemporary new residence in the commercial fringe of Manuka. Finding the balance between maintaining the heritage significance of the building while adapting it to work in a modern context can be a challenging proposition. 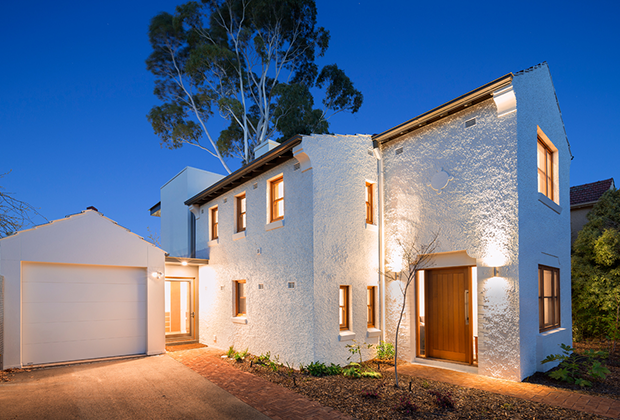 The clients were faced with the conundrum of adapting the two storey semi-detached house with heritage significance to meet the needs of contemporary living and energy efficiency requirements. 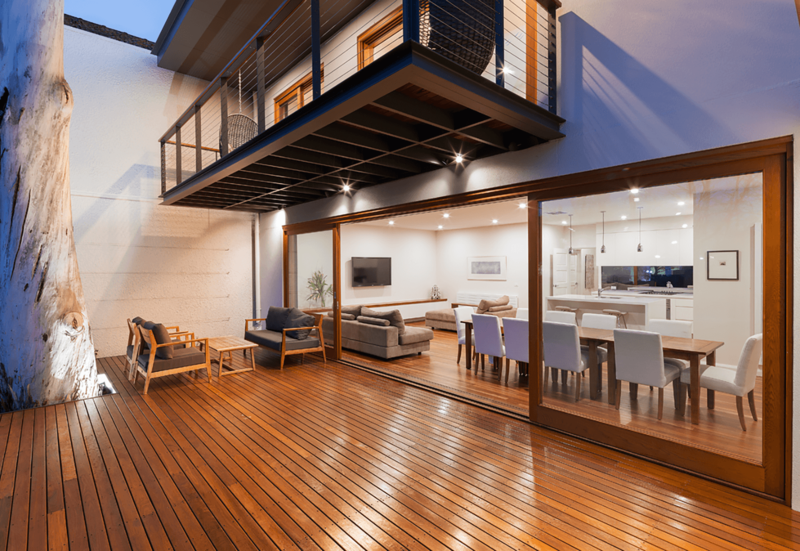 Keeping this in mind, the design expanded the floor spaces at the rear of the residence, taking advantage of the north-eastern orientation to provide greater solar access. 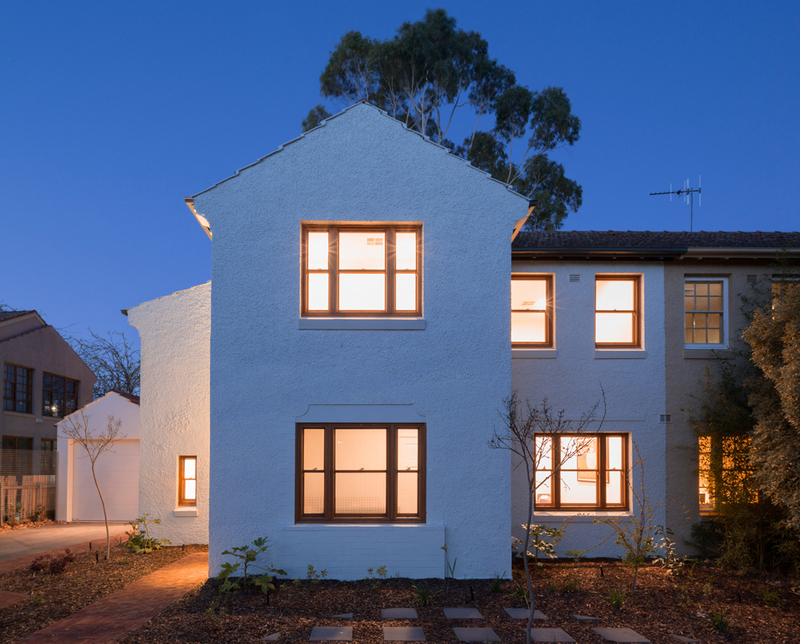 New living spaces at the ground floor and new larger bedrooms on the first floor remain sympathetic to the original form of the dwelling from the streetscape, which remains predominantly intact. 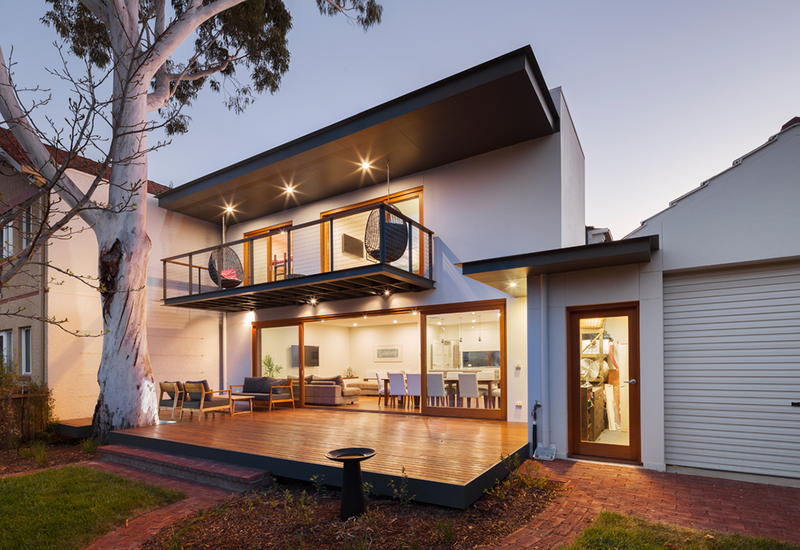 The rear extension integrates into the design the significant 21.5m Eucalyptus tree located in close proximity to the house. Careful consideration was put into the form and materiality of the extension in order to complement the existing architecture. 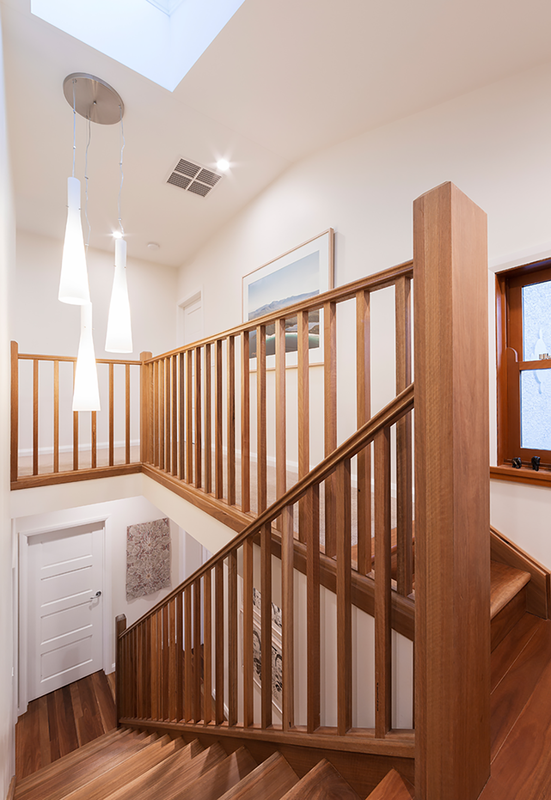 The central staircase was reconstructed with a higher landing level to enable a new powder room under the stairs and a new walk-in pantry and laundry under the bathroom, enhancing the functionality of these areas. 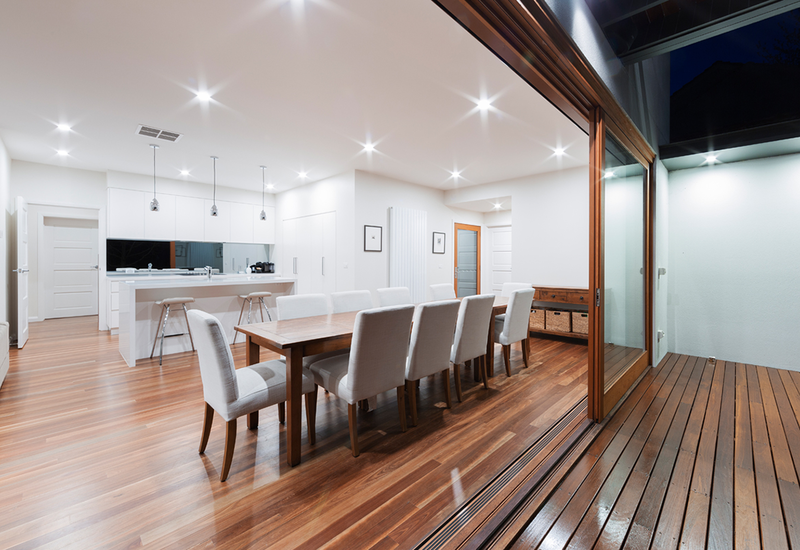 Simple variations to the original layout of the house were also made to make spaces more functional and allow for greater cross ventilation but also work with the constraints of the existing building fabric. Standing seam zinc cladding, timber,steel and glass act as transition materials between old and new, while subtle changes in the render texture acknowledge this this change.